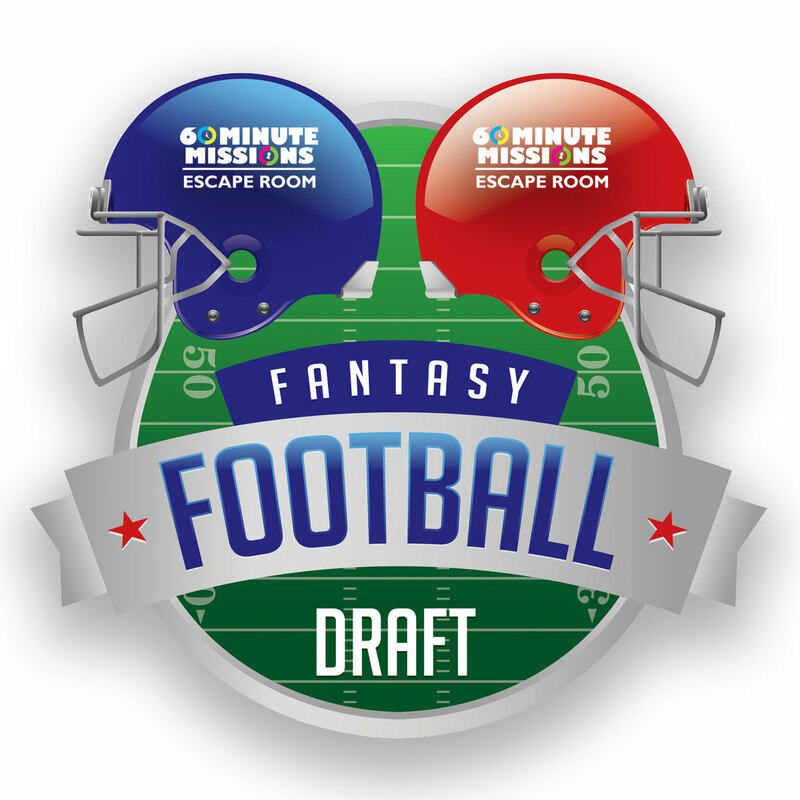 Let 60 Minute Missions Escape Room be your league headquarters for your fantasy football draft this season. Whether your league drafts online or offline, add to the excitement of draft day when you also attempt one of the 60 minute mission games before or after your season starting draft. Use of our Private Party Room for up to 2 hours with the ability to connect to the TV into a live digital display of available players. Ability to B.Y.O. food and beverages instead of running a large bar tab. Discounted pizza pricing from select area pizza restaurants. Plus, Escape Room Admission for every league member into The Playbook, Sharks’ Revenge or Director’s Cut before or after your draft. Leagues of 10 or less players can attempt a single mission together. Leagues of 11 to 20 players will break into two groups and duel against each other. League Commissioner receives a FREE Mission Accomplished T-Shirt. All of this for just $25 per person! Call 724-383-6066 for date availability. Offer valid through Monday, September 4, 2017.